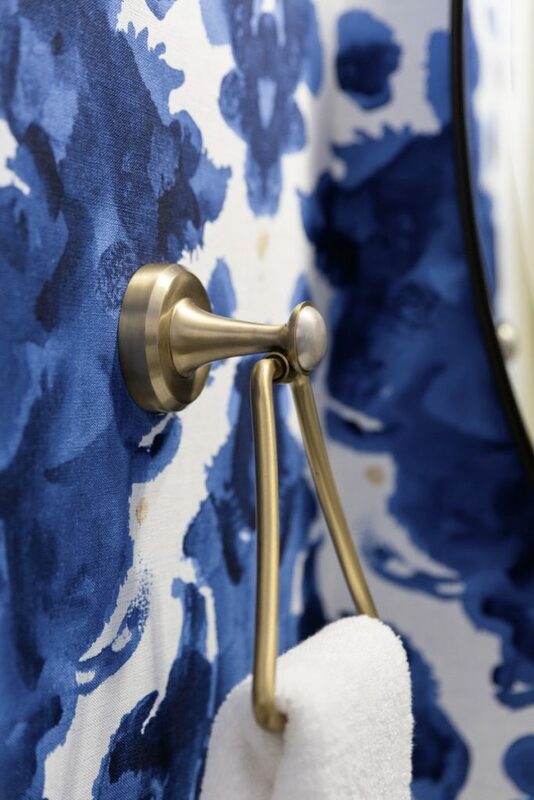 I think every home should have one room or space that is bold, that stretches you out of your comfort zone. Because my belief (and hope) is that every time you step into that room, you’ll be encouraged to be bold, to stretch and push yourself in life. 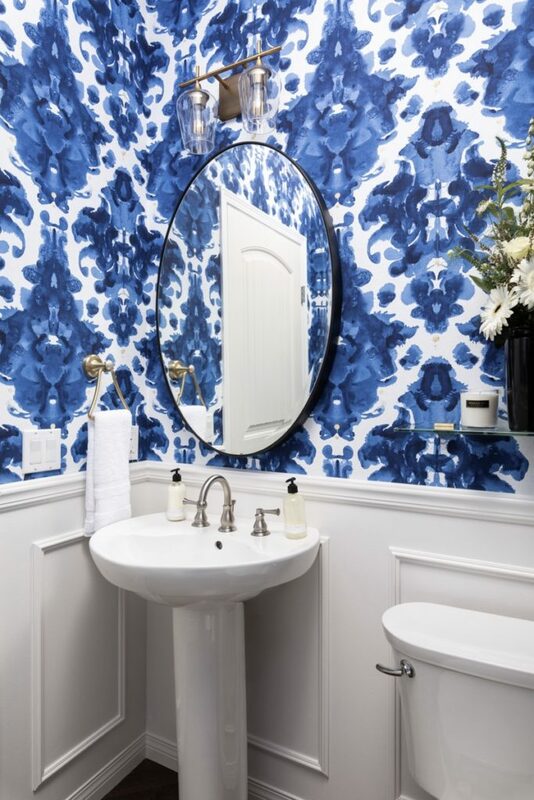 It was exactly that sentiment that inspired this powder room: undoubtedly bold, yet still grounded in tradition. 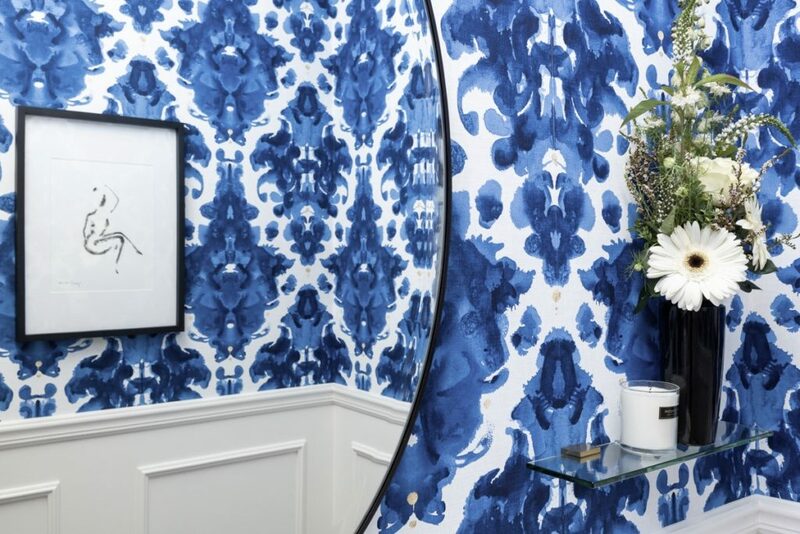 The classic damask pattern is given a modern edginess in royal blue and an almost Rorschach Blot effect in the wallpaper. 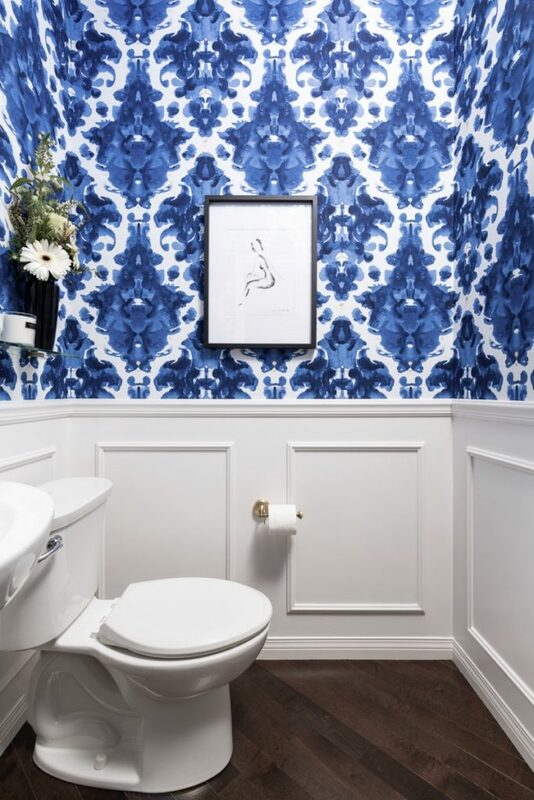 Working with nine foot ceilings, to do the entire wall in the paper would have created quiet an overwhelming effect, breaking it up with a chair rail and wall molding was the perfect way to balance it while playing to it’s traditional feel. While it’s hard to pick my favourite element in the room, I do adore the art. 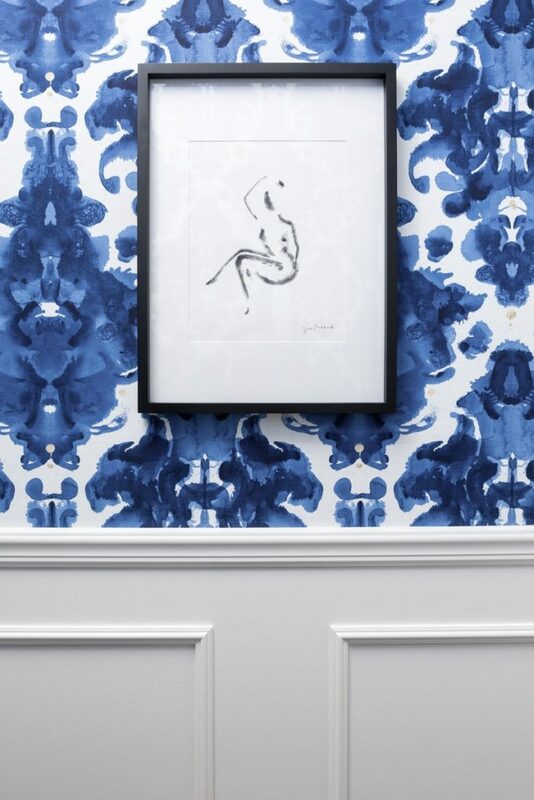 The watercolour nudes balance perfectly with the wallpaper – bold, yet subtle and sophisticated. Black and gold accents put the finishing touches on the space that is a real treat for guests and the homeowners alike. 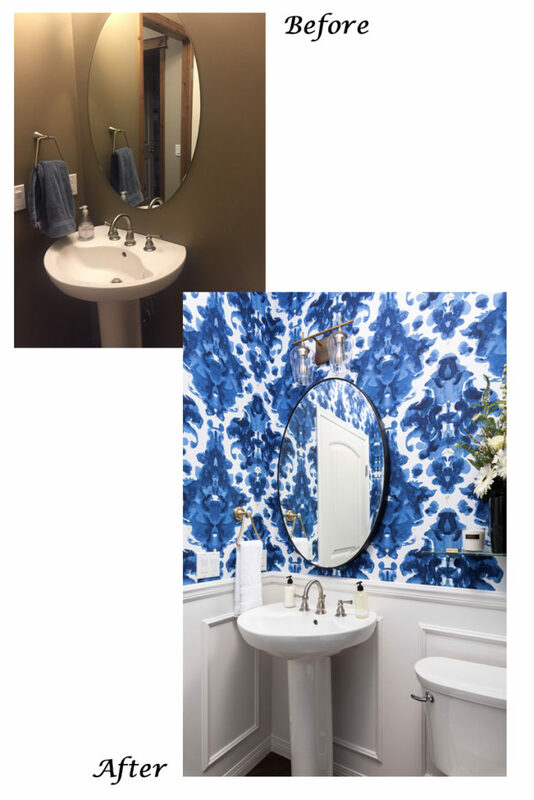 My client and I may or may not have toyed with the idea of enjoying a glass of wine or two in this beautifully sophisticated powder room!